The Kohlenberg Lyceum Series Presents "Twelfth Night"
Mark and Jill (Matthys) Schell of Lohman, Mo., recently made a cash gift of $50,000 in support of Bulldogs Forever – A Campaign for Bulldog Football. 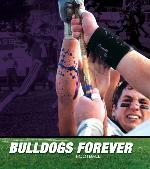 Mark was a member of the Bulldog football program while at Truman. He played tight end for the team and was a regular starter at that position. He is currently a member of the campaign’s volunteer steering committee. Mark graduated from Truman in 1997 with a Bachelor of Science in business administration and is currently the executive vice president for production at Diamond Pet Foods, Inc. Jill graduated from Truman in 1998 with a Bachelor of Science in exercise science and is currently a stay-at-home mother who enjoys taking care of their two boys, Sam and Charlie. The football renovation campaign is designed to raise private gift support to assist in the renovation and enhancement of the Stokes Stadium facilities. The project includes installation of lighting and synthetic turf, renovation of the kennels and the construction of visiting bleachers. This significant gift from Mark and Jill Schell increases the lead commitment total for the campaign to approximately $110,000. Private support from this campaign, coupled with a portion of the resources from the recently passed student athletic fee, will assist the University in returning Stokes Stadium to a first-class facility. The University Art Gallery at Truman State University is delighted to present the two final exhibits for the spring semester, a sampling of the bodies of work created by some of the finest student artists in the Truman community. These exhibitions are in partial fulfillment of the Bachelor of Fine Arts or Bachelor of Arts degrees. The Gallery invites everyone to attend a second reception at 6 p.m. April 29 to view these exciting collections of work from fresh, new talent. SereneYouthfulPreposterousSmorgasbord,” includes a range of media and methods from painting to ceramics to site-specific installation from student artists Amy Aiken, Amanda Carron, Emily Dahmer, Melissa Fryer, Whitney Smith and Katie Welsh. Among the concepts being addressed are the exploration light, figure and submersion; the psychological terrain of interpersonal relationships within the context of viewer participation; and the underlying nature of horses. This exhibit is on display from April 21-25. The second B.F.A./B.A. theses exhibition, “Figuratively Speaking,” addresses a number of subtle topics in work created by student artists Shelly Forbis, Erin Fox, Shaun Gaynor, Julie Pincus and Ellis Ray. Nontraditional, contemporary portraiture is investigated through the use of current digital media processes and found objects; literature is explored by recontextualizing sentences from novels and archaic fairy tales. Elaborate, delicate and unexpected environments are uncovered and considered through paint and print. This exhibit is on display from April 28 to May 2. The University Art Gallery at Truman is located on the ground floor of Ophelia Parrish. Gallery hours are Monday-Thursday from 8:30 a.m. to 7 p.m., Friday from 8:30 a.m. to 5 p.m. and Saturday from noon-4:30 p.m. Gallery exhibits, talks and most other events are free and open to the public. For more information, contact Emily Booth, interim gallery director, at 785.5386 or ebooth@truman.edu. The Kirksville Chapter of Sigma Xi, the scientific research society, will host a presentation by Clark Spencer Larsen at their Annual Spring Banquet, Initiation and Lecture at 7:30 p.m. April 24 in the Student Union Building Georgian Room C. Everyone is invited to attend. Larsen is a distinguished professor of social and behavioral sciences and chair of the department of anthropology at The Ohio State University. He is also a research associate at the American Museum of Natural History. Larsen is an internationally known authority on bioarchaeology, the study of human remains from archaeological settings. His research is primarily focused on bicultural adaptation in the last 10,000 years of human evolution, with particular emphasis on the history of health, well being and lifestyle in native and non-native populations in the Western Hemisphere. The banquet and awards ceremony will precede the lecture at 6 p.m. in the Student Union Building Georgian Room B. Tickets are $12. Please R.S.V.P. to John Ma at johnma@truman.edu or Patricia Sexton at psexton@atsu.edu. The recyclables have been gathered and weighed and Truman earned third in the overall “Per Capita Classic” portion of the recent RecycleMania contest. From January 27 to April 5, 400 colleges and universities nationwide competed to reduce, reuse and recycle in the RecycleMania 2008 contest. More than 58 million pounds of recyclables and organics were recovered from the participating schools. Schools were divided into two divisions, those participating across their entire campus (Whole Campus Division) and those competing with only a subsection (Partial Campus Division). Within each division, schools chose to participate in any of eight categories. Truman participated in the “Per Capita Classic” category for the whole campus, which measures the largest amount of recyclables per person. Truman’s Recycling Center accepts paper, plastic, aluminum cans, all glass, corrugated cardboard, printer cartridges, books and brown paper bags. Drop-off bins are conveniently located in various places in each building on campus. They are placed in major traffic zones and are available at all hours buildings are open. The Truman State University Recycling Center provides services for the surrounding communities. People can drop off their recyclables at Truman’s Recycling Center located in Building No. 4 Dulaney Complex at the south end of the Truman campus across from the rappelling tower. The Center accepts items Monday-Friday from 7 a.m. to 3 p.m. and Saturday from 9 a.m. to noon. More information about the RecycleMania results is available at http://www.recyclemaniacs.org. The Delta of Missouri chapter of Phi Beta Kappa will initiate new student members April 27. Phi Beta Kappa is the nation’s oldest undergraduate academic honor society in the liberal arts and sciences. The initiates include: Jennie Leigh Adolf, Jarrett Lee Anderson, Lindsy Marie Blair, Benjamin Steven Church, Danielle Renee Dale, Loren Michelle Depenthal, Kelsey Marie Doerr, Christopher George Dove, Lee Anne Flagg, Kaitlin Elizabeth Gallen, Jessica Mary Gasch, Daniel Patrick Glossenger, Audra Kaye Glotfelty, Arthur David Gregg, Ann Elizabeth Harman, Alexander Joseph Hayden, Emily Christina Hopson, Seth Green Howdeshell, Laura Eve Hurlburt, Jeremy David Jones, Justin Hunter Junkel, Hannah Jory Kay, Teresa Day Kerbawy, Camila Maysha Khan, David Alan Kiblinger, Chelsea Renee Klaus, Joshua Eugene Lefler, Allison Michelle Meadows, Kristin Rae Michael, Lauren Aubrey Michael, Laura Marie Najjar, Kevin Daniel O’Brien, Steven Matthew Olson, Jeffrey Michael Plume, Katherine Anne Portnoy, Nehemiah Tarris Lofgren Rosell, Amy Lynn Rowden, Madalyn Elizabeth Schill, Sadye Katharine Scott-Hainchek, Melissa Ann Shively, Natalie Ann Soltys, Justin Keith Starke, Mallory Catherine Stites, John Robert Sturgeon, Adam David Sundberg, Abigail Marie Temple, Kyle Garrett Tracy, Bonnie Marie Treichel, Allison Marie Voeks, Lauren Meredith Walter, Keith David Watson and Katie Marie Werkmeister. The Student Activities Board (SAB) has several upcoming events planned. SAB will present Finesse Mitchell at 7 p.m. April 25 in Baldwin Auditorium. Mitchell is a former “Saturday Night Live” cast member. Tickets are free with Truman student ID. General admission tickets are $5 each. The SAB Spring Concert will feature hellogoodbye at 8 p.m. May 1 in Pershing Arena. Student tickets are on sale for $5 each. Student with ID must be present at time of purchase. General admission tickets are on sale, and are also available online for $10. Contact SAB at 785.4722 for more information. National Players will perform this production. Seating is general admission. Admission is free for students, faculty and staff with their University ID. Tickets are still be available. Students may pick up tickets at the Student Activities Board Office, first floor of the Student Union Building. Faculty and staff may pick up tickets at the Center for Student Involvement, first floor of the Student Union Building. Students participating in the Truman in Washington Program can come and learn about Washington, D.C., from former interns, meet other students who will be in the District of Columbia, and enjoy free food. Contact Diane Tobin Johnson at djohnson@truman.edu for more information. Environmental Studies Conference 10:30 a.m.-5 p.m.
Book signing and reception featuring local, organic and fair trade foods to follow. 5:30 p.m. • Meet at the corner of Franklin & Washington St.
See http://earth.truman.edu for more information. For a complete listing of events and presentations or to R.S.V.P. for the dinner, log on to Web site http://earth.truman.edu. T-shirts will be available. They were printed locally at Copy Systems on organic, sweatshop-free shirts. Sponsored by Student Senate, Environmental Studies minor and Office of Interdisciplinary Studies, Departments of Agricultural Science, Art, Biology, Chemistry, English and Linguistics, and Physics, School of Business, the University Farm, Residential College Program, the Kirksville Bike Co-op, Sierra Club, Environmental Campus Organization, Student Activities Board, Fiber Arts Club and Sodexo. The Center for Student Involvement is now accepting applications for scholarship and work-study positions. Applications for fall 2008 may be picked up at the CSI Office in the Student Union Building. Contact the CSI at 785.4222 with any questions. OCCS is now accepting applications for the 2008-2009 OCCS Intern (scholarship, work-study, or up to 15 hours of institutional wage available). Applications are available in Kirk Building 112. The position description is available on e-recruiting (http://truman.erecruting.com). Applications are due by 5 p.m. April 25 in the OCCS, Kirk Building 112 (785.4111). Contact David Hoffman at dhoffman@truman.edu or Natalie Soltys, current OCCS intern, at nas304@truman.edu with any questions. Truman State University Public Relations Office is now accepting applicants for a full-time summer only position. Applicants should have a working knowledge of Associated Press style usage, strong background in writing and editing and good communication skills. In addition to working with the Truman Today, this position will assist with answering the phone and interacting with visitors, and providing secretarial support when needed. Interested students should bring a cover letter that addresses the skills needed, a résumé, three writing samples and three references to the Public Relations Office. The Student Affairs Office is now accepting applications for summer and fall semester work. Applications are available in the Student Affairs Office, Student Union Building 3100, and are due May 2. The Student Health Center has openings for clerical assistants. For more information, contact Christina Davis at cdavis@truman.edu. Celebrate mathematics. The new library exhibit explores the Möbius band, a mathematical concept envisioned by August Möbius (1790-1868). The exhibit describes the Möbius band and its application to everyday life, the arts, and more. There is an interactive component to the exhibit which utilizes a computer and touch screen monitor to give the user a greater understanding of the Möbius band. Come view a hand moving along a Möbius strip, a twisted Möbius Klein bottle, a Möbius star, and a conceptual view of the Jefferson National Expansion Memorial (the Gateway Arch in St. Louis). The School of Business is hosting its second annual Meet the Firms from 10 a.m.-3 p.m. April 25 in the Student Union Building Activities Room. The event is solely focused on careers related to accounting. Sophomore, junior and senior accounting students will have the opportunity to mingle and meet with firms. Refreshments will be provided. Contact Lana Dowell at ldowell@truman.edu for more information. The forum will take place from 5-6 p.m. April 22 in Student Union Building Room 319. Students, faculty and staff are invited to provide feedback on how Truman’s current policies affect the spirit and fun of the campus. A prize drawing for five Wal-Mart and Barnes & Noble gift certificates will take place for all those in attendance. The Educator of the Year banquet will take place at 6 p.m. April 28 in the Student Union Building Georgian Room. Contact tsu_eoy@yahoo.com to request an invitation or to R.S.V.P. On April 11 and 12, the Academic Competition Organization competed in a nationals tournament held at Washington University in St. Louis. Truman’s team consisted of: Kent Buxton, a junior from Cape Girardeau, Mo. ; Tyson Koenig, a sophomore from Perryville, Mo. ; Jacob Thomeczek, a sophomore from Columbia, Mo; Ryan Stander, a sophomore from Liberty, Mo; and William Regot, a junior from Jefferson City, Mo. Truman’s team did well, placing seventh out of 32 teams in their division. This represents the highest placing Truman has ever had at this nationals-level quiz bowl tournament. En route to their seventh place, Truman defeated teams from such schools as Carnegie Mellon, Stanford, Harvard, MIT and Washington University. The team representing Truman’s graduate program in communication disorders (CMDS) won the “Quest for the Cup” at the Missouri Speech-Language-Hearing Association’s annual meeting. This is a “quiz bowl” type competition among all eight CMDS master’s programs in the state, and the traveling trophy, earned in overtime against the University of Missouri-Columbia, is currently exhibited in the Speech and Hearing Clinic. Michael Bump, associate professor of percussion studies, recently served as guest artist/teacher March 30-April 2 at The Florida State University. The visit was co-sponsored by the FSU College of Music, Pearl/Adams Percussion, Inc., and Innovative Percussion, Inc. During the three-day residency, Bump taught graduate seminars in percussion literature and pedagogy, presented master classes on timpani performance, conducted private lessons, and presented a solo percussion recital. The recital included two of Bump’s compositions: “Studie I” for solo timpani and “Studie II: Epthyic” for solo timpanist and percussion quartet. The latter also featured members of the FSU Graduate Percussion Quartet. Ronald A. Knight, professor emeritus of mathematics, has had his research paper on initially deformed flows accepted for publication in Topology Proceedings in 2008. Marc Rice, associate professor of musicology, will participate in the National Endowment for the Humanities Summer Research Institute, “African American Struggles for Civil Rights in the 20th Century.” The Institute is sponsored by the W.E.B. Du Bois Institute at Harvard University, and will be hosted by Henry Louis Gates Jr. It will be conducted between June 25-July 30. John Robert Sturgeon, a senior accounting and economics double major from Omaha, Neb., has been selected to receive a national Phi Kappa Phi Graduate Fellowship in the amount of $5,000. David Wohlers, professor of chemistry, recently traveled to Columbia, Mo., to be the keynote speaker at the Children’s Vision Summit organized by the Missouri Blind Task Force, an advisory group to the Missouri Department of Elementary and Secondary Education. He also participated in hands-on laboratory activities. The 34th annual Service Recognition Banquet will take place at 6:30 p.m. April 29 in the Student Union Building Georgian Room. Approximately 148 current and retired members of the University will be honored for their commitment to the University. Tickets for the general public are on sale in the Human Resources Office in McClain Hall 106 for $10 each. Alpha Phi Omega will be sponsoring a Red Cross blood drive from 10:30 a.m.-5:30 p.m. April 23-24 in the Student Union Building. All blood types are needed, but type O is particularly needed. To be eligible to give blood, the person must weigh 110 pounds or more and be at least 17 years old. Donors should bring a driver’s license for proper identification. Call American Red Cross at 1.800.GIVE.LIFE for more information about this blood drive or other drives in the area. The final Weekly Lunch Series session for the semester will take place at 12:30 p.m. April 23 in the Student Union Building Georgian Room A. This session will feature project reports from faculty fellows in the Service-Learning Program, the Diversity Institute, and the UGC Scholarship of Teaching and Learning Program. The Department of English and Linguistics presents Senior Capstone Conferences from 9 a.m.-5 p.m. April 24-25 in the Student Union Building. Contact Priscilla Riggle at priggle@truman.edu for more information. The Missouri Democratic Party’s candidates for attorney general debate scheduled for 7:30 p.m. April 24 in Violette Hall 1000 has been canceled. For more information, contact James Lang at 314.852.5452 or jameslang@truman.edu. There will be a Biology Seminar from 12:30-1:20 p.m. April 25 in Magruder Hall 2001. This week’s topic will be “Biology Honors Presentations.” Refreshments will be served at 12:15 p.m. outside of Magruder Hall 2001. For more information, contact Will Petry at wkp956@truman.edu. Alpha Phi Omega is sponsoring St. Baldrick’s: Shaving the Way to Conquer Kids’ Cancer at 1 p.m. April 26 in the Ryle Hall Main Lounge. People will be able to support the St. Baldrick’s Foundation by shaving their head or donating for others to shave theirs in an effort to raise money for childhood cancer research. A barbecue will be available for purchase. Contact Shelley Dressel at mld322@truman.edu for more information. Circle K International will be hosting a rummage sale from 6 a.m.-3 p.m. April 26 at the commuter parking lot at the corner of Franklin and Patterson streets. The sale will allow members of the community to buy high-quality used items for a low cost. Proceeds will benefit Kirksville’s Salvation Army. The Newman Center and Students for Life are hosting LifeFest from 1-5 p.m. April 26 on the Quadrangle. LifeFest is an annual fund-raiser that is a barbecue, bandfest and carnival. Proceeds benefit Kirksville’s Lifeline Pregnancy Resource Center. Contact Craig Deken at csd688@truman.edu or Lisa Hoffman at lmh841@truman.edu with questions. The Women’s Resource Center is sponsoring a Spa Day from 1-4 p.m. April 27 in the Student Union Building Georgian Room C. Students will be able to enjoy spa treatments, eat free food, and learn to keep their college lifestyle a healthy lifestyle too. There will be free health food and paraffin wax dips. Participants will be able to make their own stress relief balls and bath salts. The Women’s Resource Center (WRC) will be giving out free recipe books and selling WRC and Monologue T-shirts. For more information, e-mail Brooke Ratterree at blr372@truman.edu. The Department of Psychology presents Capstone presentations from 1-4 p.m. April 29 in the Student Union Building Down Under. Applications are still being accepted for summer and fall 2008 study abroad programs. Submission deadlines for summer 2008 range from mid-April to early May; deadlines for the fall range from mid-April to early June. Applications and more information about specific programs can be picked up in the Study Abroad Office, Kirk Building 114. The Phi Beta Kappa Alumni Association of Northeast Missouri 17th Annual Lecture will take place at 7 p.m. May 1 in Ophelia Parrish 2210. Brent Orton, lecturer in English, will present “Uncertain of Grace: Aesthetics versus Ethics in the Concerned Photography of Sebastiaõ Salgado.” A reception will follow. Contact Katie Tullmann at kct225@truman.edu for more information. Le Coin Français and La Casa Hispánica in Missouri Hall are accepting applications for next year until May 2. Contact Timothy Farley at tfarley@truman.edu or Carol Marshall at carolmar@truman.edu for more information or to receive an application.